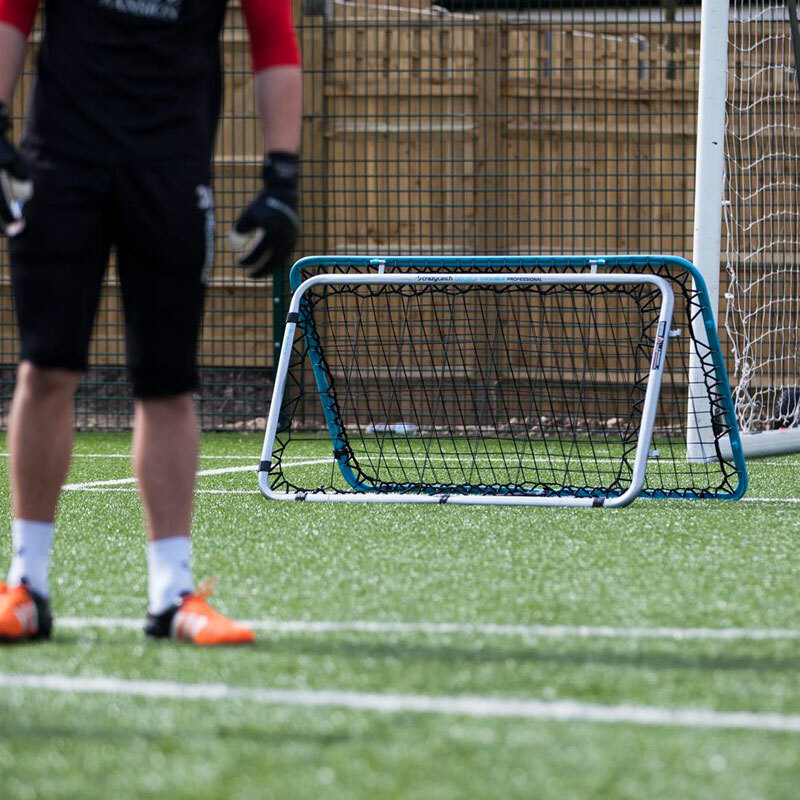 The Crazy Catch ® Professional Rebound Net is for the top athletes in Cricket, Football, Rugby, Hockey, Tennis and Badminton, testing and developing hand eye co-ordination. Nets: 2 Insane sides - have a unique net system to return a ball in an unpredictable direction. Side 1: Large mesh - for large balls - ideal for soccer, netball, basketball etc. Side 2: Small mesh - for smaller balls - ideal for tennis, cricket, hockey etc. Top of the range professional model for the serious athlete. ONLY rebound net with a 'sane' and 'insane' side. Redesigned frame provides horizontal/ vertical so you can tailor net position for your specific sport. New detachable frame allows it to be hand held for close up skills training. Targeted for the professional sports person for use on the sports field, indoors to home use. 1 x Crazy Catch ® level 2 vision ball.